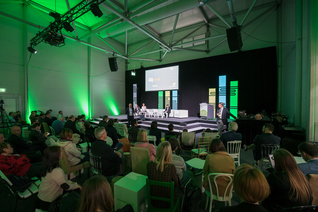 UEG Week is the place to be for clinicians and researchers. The scientific programme includes all aspects of our specialty, ranging from basic science to clinical practice guidelines. For UEG Week 2019 in Barcelona, a world class faculty will gather to present newest research as well as state-of-the art clinical practice. The Opening Session is held on Monday morning and includes official speeches and the opening of the core scientific programme with a mixture of invited speakers and presentations of the best submitted abstracts.UEG awards the UEG Research Prize, the UEG Lifetime Achievement Award and the UEG Journal Best Paper Award at the Opening Session. Interdisciplinary symposia cover new approaches to diagnosis and treatment, and place major emphasis on innovative, technical advances in the non-invasive management of gastrointestinal and hepatic disorders and translational/basic science, including state-of-the-art lectures. Crash Courses offer the ideal setting for clinicians to get a complete update on a common, distinct topic of their daily clinical routine. All essential aspects are covered in these practically focused sessions, where clinical cases and best practice examples will contribute to its relevance for the clinical practice. The moderated Crash Courses are particularly interactive and the major part of the session is dedicated to open discussions and the exchange of clinical practice experiences between the speakers, chairs and the audience. For each of these sessions we have invited four experts who will discuss a common clinical situation based on a case presentation. There is no pre-booking required but come early as there are limited seats which will be filled on a first-come, first-served basis. These sessions include topics that will potentially affect clinical practice within the near future, thereby being attractive for both basic/translational scientists and clinicians. Top class scientists have been invited to discuss how the current stage of knowledge is ready to be used in clinical practice, and to establish strategies to foster further progression of knowledge in this area. The Today's Science;Tomorrow's Medicine symposium is a combination of both, invited sessions featuring the world's top scientists and free paper sessions where work is presented by young and established researchers. A clinically oriented one-day symposium within the meeting, focusing on an area where substantial progress has been made. Where the most controversial sessions, hottest debates and interactive abstract discussions will take place. 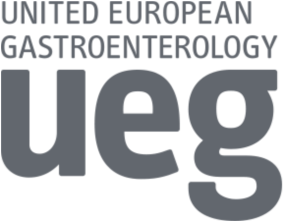 Breaking news will be launched together with the clinical trials revisited sessions, where the latest results from recent large clinical trials will be presented and discussed by experienced investigators. Top international experts demonstrate cutting-edge techniques alongside basic procedures transmitted directly to the auditorium. The use of multiple parallel cases and experienced chairs ensure interactive learning without unnecessary gaps. During this session short videos showing examples of new, unexpected, or exceptional endoscopic practice are presented and briefly discussed. Thus, the Video Case Session presents unusual cases or new technologies based on diagnostic and therapeutic endoscopy. 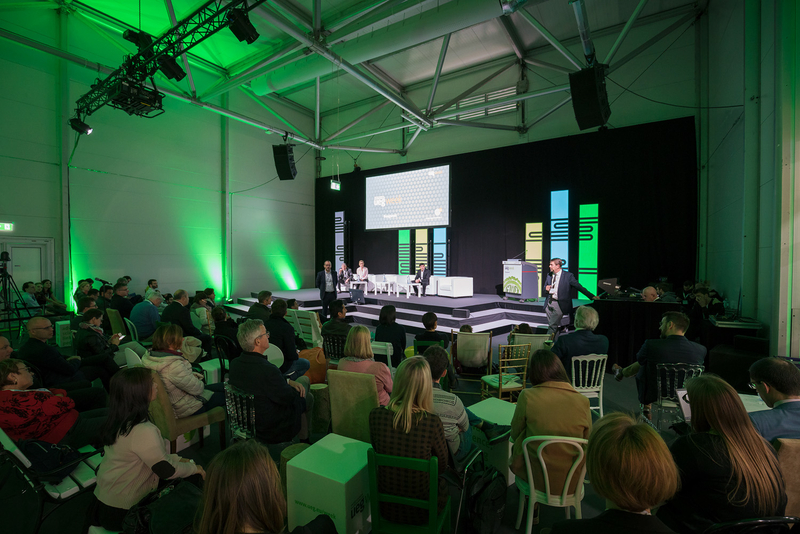 The most important feature of UEG Week is the science and this is recognised in the core programme with a large number of Abstract-based Sessions devoted to original research, and an impressive number of Mixed Sessions where invited talks and free paper presentations alternate. 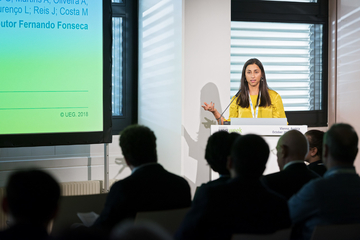 Both of these sessions allow lively discussions about the best original research submitted to UEG Week and this is your opportunity to hear about GI and liver research in Europe and worldwide before it is published. A place where all possibilities to present an abstract are featuring the UEG Week Hotspot, the E-Poster Terminals as well as the poster exhibition. Poster Sessions feature a very spacious room layout and poster format. Printed posters are displayed and changed daily. The discussion of clinical cases during daily poster sessions offer the presenters relevant discussions of difficult clinical problems. E-Posters allow all poster presenters to include interactive media files, such as radiology images, endoscopy videos, etc. and to show a video together with the E-Poster. E-Posters are accessible on the poster terminals from Monday until Wednesday. 2-minutes presentations of the highest scoring posters will be given at the E-Poster terminals in the poster exhibition, followed by 3-minutes Q&As from the chairs. The Poster Champ of each session will be awarded during the official award ceremony each day. 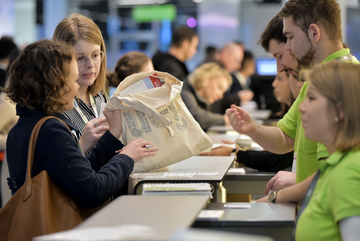 The Posters in the Spotlight are an excellent platform for in-depth scientific exchange with faculty and peers in a relaxed atmosphere and present an ideal opportunity to attend highly interactive and expert-led poster presentations. Activities taking place outside of the core scientific programme and open to all UEG Week delegates. 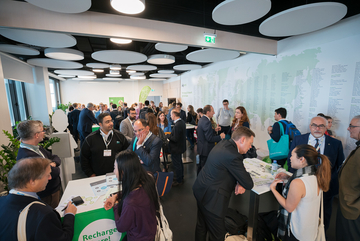 Industry Sponsored Symposia at UEG Week 2018 give you the chance to discuss and exchange knowledge on data and products with clinicians, researchers as well as the pharmaceutical and medical device industry. The programme of an Industry Sponsored Symposium is not affiliated with UEG and the responsibility of the content remains with the company. Don’t miss the industry exhibition where you can get updates on the latest products, therapies and research available in the world of digestive health. Use this opportunity to network and to expand your knowledge by familiarizing yourself with the latest advances. The ESGENA Nurse Programme comprises two days of excellent educational programme. The programme includes many different state-of-the-art-lectures, workshops, free papers & posters, lunch sessions and hands-on training on Saturday and Sunday, October 19-20, 2019.